You do your best to stay safe, but unfortunately that doesn’t mean you always will be. 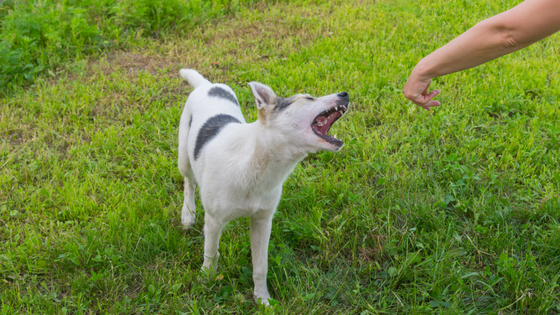 Accidents can happen to anyone, whether they be car accidents, slip, trips, and falls accidents, dog bites, or cyclist accidents. If you’ve been injured and you think someone else may be at fault, you’ve probably begun looking into hiring an injury attorney. You may be wondering how to find the right lawyer for you. It is important to feel comfortable with the injury attorney who will be representing you and helping you get back on track with your life. 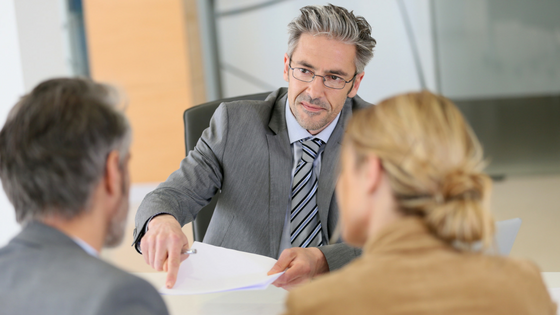 Here are a few questions to ask your personal injury attorney. What types of cases do you typically handle? 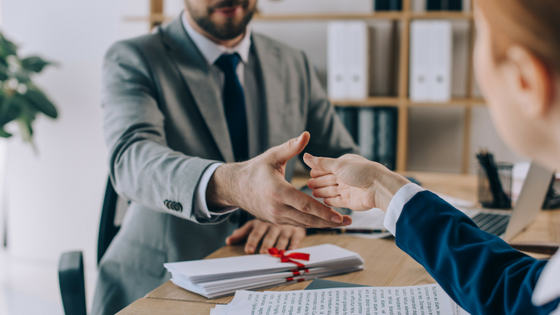 Before you invest too much time and money into any law firm, you want to make sure they are a personal injury attorney and handle personal injury claims. Is there a lawyer for falls? How many car accident claims have they handled? Does the attorney know premises law? Look for a firm that handles almost any injury or accident case. For example, Cockayne Law can cover anything from motorcycle, cyclist, or pedestrian accidents to auto, dog bites, and slip and falls. A good law firm will offer free consultations for your injury or accident even if it doesn’t fit into one of these specific categories. If you’re in the Taylorsville area, contact Cockayne Law for your free consultation. Now that you know your case has been handled by your personal injury attorney, you want to know what the results were. How many car accidents or slip and fall cases have they won? The results will speak for themselves! Have you handled a case like mine? If you’ve taken a nasty fall, look specifically for a lawyer for falls. Talk to them about the circumstances surrounding the case to see how similar they are to yours. You want someone with as much experience as possible. You may not know exactly how to deal with a car accident, but if your lawyer does you’ll feel much more at ease moving forward with your case. What is your current caseload? Do you have time for my case? Make sure you’re going to get the time and attention you need and deserve to get the outcome you’re looking for. A good lawyer should be able to give you a good idea of what your case is worth. Chances are they’ve had similar cases in the past and can tell you exactly what the typical personal injury slip and fall settlements amounts are. Who will be handling my case? How will we communicate about my case? Know who you can reach out to with questions, how often you’ll be speaking, and how you should communicate (email, telephone, text messages). It’s best to understand this before any questions or concerns arise. How long will a case like mine take to resolve? Try to get a specific timeline so that you know what to expect as you move forward with your case and your recovery. Your lawyer will charge a contingency fee when the case is won. If your lawyer is good, you will win! Be sure you understand what those fees will be. It’s a good idea to know what is expected of you from your lawyer so that you can help where necessary and focus on recovery where your lawyer will take the lead. After an auto accident you may be feeling overwhelmed and unsure of what to do. You might begin to panic and forget what to do after a car accident. 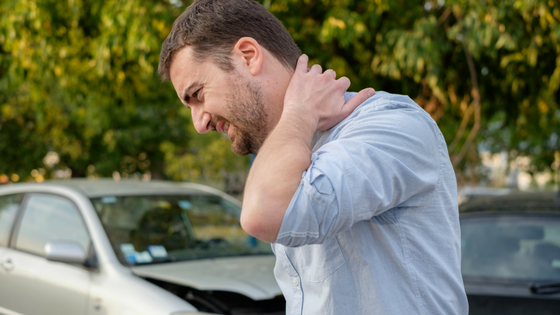 It can be especially difficult to stay calm and follow the proper procedure if you or someone else involved in the accident has been injured. But it is important to stay calm and follow the proper protocol in order to protect yourself when it comes to injury claims or using a personal injury lawyer. 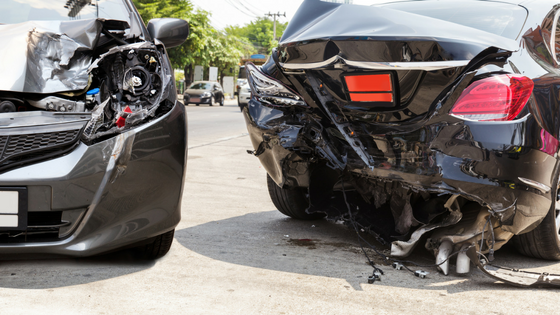 Here is the auto accident etiquette you should follow. 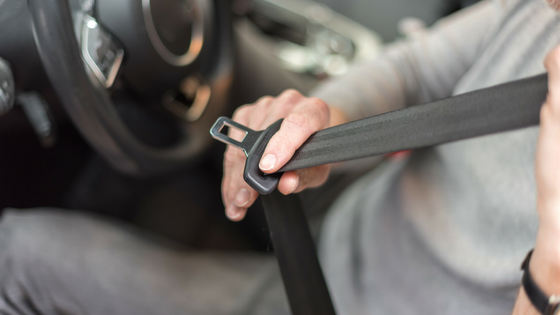 The first thing you should do when it comes to auto accident etiquette is to stay calm. Stop your vehicle if necessary, move to a safe place and use your hazards, and check to see If anyone has been injured be sure that you call 911 immediately and/or get them the necessary medical attention. Once you have established that everyone is safe and stable, give the police a call (if they aren’t on their way already). You’ll want to report the accident to the police and get an official police report. An important part of auto accident etiquette while waiting for the police should include being kind. You are likely uneasy, as is everyone else involved. Being kind and respectful can help ease some of the tension. However, this does not mean that you should admit fault. 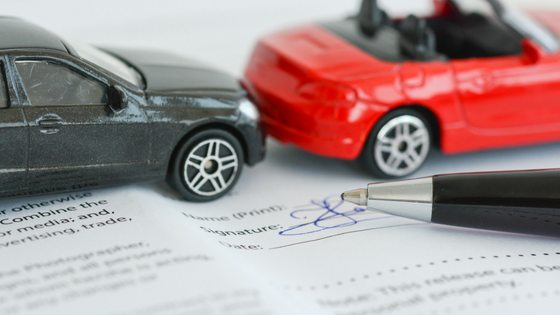 Wait to discuss details of the auto accident with your auto accident attorney. Next on your auto accident checklist should be to exchange information with the other parties involved. Exchange driver’s license numbers, insurance companies, license plate numbers and names. If there were witnesses to the accident, be sure to get their name and contact information as well. While you wait for police, it is a good idea to make note of the accident, the location, and any other details about the accident on your own. Use your phone to take pictures, record any details that may help you in an accident case. Lastly, you may be wondering what happens after a car accident and everyone goes home. This is when you’ll want to contact an accident attorney. They can help you as you navigate working with police and insurance companies to get the compensation you deserve for a damaged vehicle or for medial costs. If you are a Taylorsville resident, look no further than Cockayne Law. As experienced and dedicated personal injury lawyers, the attorneys at Cockayne Law can help you get back on your feet and in a position to carry on with your life. Don’t wait to call them after an accident! If you’re worried about remembering the your auto accident etiquette, it’s a good idea to keep an accident checklist with you in your car at all times. There are many resources online to where you can find printable accident checklists. Refer to your checklist and handle your accident with the proper etiquette. You want to stay safe on the road, and one of the best ways to do that is to avoid distracted driving. But before you eliminate distractions you need to know what they are! Here are five common distractions in your car. We live in a time and age when we use our cell phones for just about everything. While they can be of huge benefit in most cases, when it comes to driving they are best left in the glove box where they won’t be a distraction. 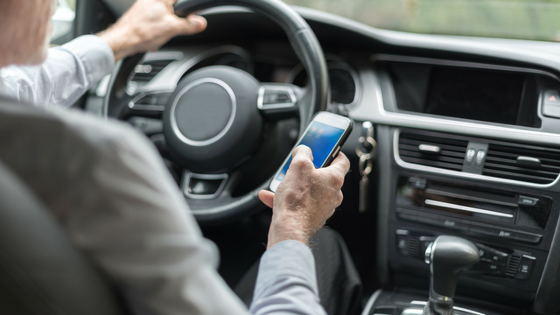 Talking and texting are the cause of most distracted driving accidents. According to the National Safety Council, cell phones are involved in 26% of all car crashes. You can eliminate more than a quarter of distracted driving accidents simply by putting your phone away. 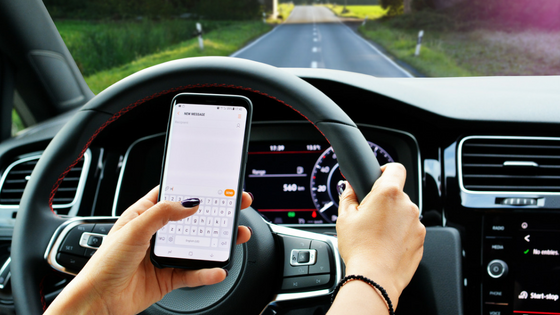 There are many ways to be distracted in your car, and sometimes one of the biggest culprits has nothing to do with objects in your car. Simply being distracted, or lost in thought, is one of the five common distractions when driving. When you’re operating a vehicle at any speed, it is important to remain alert and focused at all times. Day-dreaming or letting your mind wander for a few minutes at work or school may be harmless, but when it comes to driving it can be the difference between life and death. If you’re riding with a car full of friends or have children in the backseat, they may be distracting you more than you think. Other passengers can be a major distraction; it’s only natural to talk to them and interact. While you don’t have to ignore them to be a safe driver, you need to be sure that your attention is first and foremost on the road. Before you pull out of your driveway, it is important to make any necessary adjustments. Adjusting your temperature, radio, seat, rear-view mirror, or any other setting in your vehicle while driving can be a distraction and accident waiting to happen. You’ll feel less stressed and more comfortable on your drive if you make adjustments upfront. Whether you are trying to put your makeup, gobbling down a quick breakfast, or looking for a road sign, not looking at the road is another major distraction. Give yourself plenty of time to get ready before heading out the door, and extra time to find a new location so that you can keep your eyes on the road at all times. Sometimes despite your best efforts to avoid distractions in the car, accidents happen. They may be because you are distracted, or it may be because someone else on the road is distracted and you are unfortunately involved. That is why it is always best to be prepared and know what happens after a car accident. There are many auto accident checklists available for reference. Your insurance company can also help. For example, insurance companies like Geico can provide information on what to do in an accident. Whether you’re involved in an major accident or a minor accident with no police report, you want to know your rights. This is where a personal injury lawyer comes in handy. They can help you determine personal injury settlements, and even navigate an injury investigation checklist. You may be in pain following an accident, but you don’t have to let it affect your work or other areas of your life too. Choose a car accident lawyer you can trust, like the attorneys at Cockayne Law. Black ice can be one of the scariest things you encounter in the wintertime. Sure, lots of snow can be difficult to navigate as well, but it is easy to spot. Black ice is dangerous because it’s next to invisible. The good news is that with a few tips you can protect yourself while you are both driving and walking. 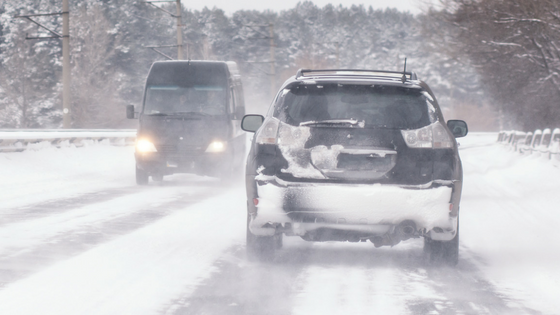 Don’t let an auto accident or a slip and fall case keep you from enjoying the winter months. Here’s what to do if you hit black ice. In order to drive safe, you need to know when black ice can be an issue. You should be extra cautious in the early mornings or at night when temperatures are lowest. You should be cautious after any rainfall in the wintertime, or when you’ve had snow that melted and then was quickly followed by freezing temperatures. While these are good guidelines, you should always be weary of black ice during freezing weather. If you happen to hit black ice, do not overreact. Doing as little as possible is the safest course of action. Do not hit your brakes, and try to keep your steering wheel straight. If anything, you may try to slightly steer into the slide rather than overcorrecting. Remove your foot from the gas and shift to a lower gear if possible. If you can, try to head for an area with traction like textured ice, or a snow-covered area. If worse comes to worst and you are headed off the road, try to steer into something that will cause minimum damage. If you or other drivers are badly injured, you may want to contact a road accident solicitor to help. Your injury attorney can help you get back on your feet following an unfortunate encounter with black ice, helping you to eliminate losing more time and money over the accident. Many of the same precautions are true for both driving and walking when black ice is present. First, avoid it as much as possible by knowing where to find it — nighttime and early mornings during freezing temperatures, after rainfall or a warm snap followed again by cold temperature, or in areas where the sun is unable to shine. To keep yourself safe, wear shoes with a good tread to give you traction. Keep your hands free when walking in case you need to catch yourself. If you find the walkway is slippery, don’t be afraid to “penguin-walk” by taking slow, small steps. You can also avoid black ice by choosing a snowy pathway with traction instead. If you do hit black icel, you may be wondering what to do after a slip and fall accident. What is the average slip and fall compensation? If you’re a business owner, you may also wonder if someone gets hurt on your property can they sue? When it comes to slip and fall cases, it is helpful to have a trusted accident attorney you can turn to. They can help you navigate the slip and fall lawsuit process, and put your best interests first. Cockayne Law specializes in both auto accidents and slip and fall cases. If you need an accident attorney, look no further than Cockayne Law.